The European airline industry has had to endure a tumultuous year, yet Ryanair somehow managed to make a profit along the way. The Independent reports the budget airline claimed a six percent bump in profits year-to-year through March 31, 2017, representing €1.316 billion (or about 1.47 billion). 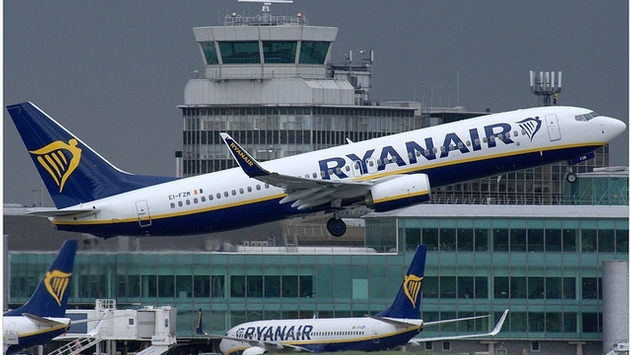 It’s fantastic news for Ryanair considering all this airline and the rest of Europe’s contingent have had to deal with over the last 12 months. When it comes to Brexit, the withdrawal has amounted to a joy for international travelers headed to the United Kingdom. Visit Britain reported earlier this year that the country had experienced a bumper crop of booked flights to close out 2016, and it foresees an 8.1 percent increase in spending through this year. Of course, what’s good for the consumer isn’t always great for the airlines. Ryanair’s chief marketing officer Kenny Jacobs thinks more Brexit fallout is in store. Jacobs elaborated to “Today,” explaining how dramatic things could turn thanks to Britain’s withdrawal from the European Union: “If there isn’t a new bilateral in place, you may have very restrictive or no flying between Europe and the UK for a period. And I think It’s clear we’re heading to what looks to be a very ugly divorce at the moment. Jacobs added that there was a “very small possibility” Ryanair could be out of the U.K. completely. In the interim, the United Kingdom, its citizens and interested travel brands will be waiting for June 19 when Brexit negotiations begin. There are a wealth of issues outside the nation’s withdrawal that will have a tremendous effect on the industry at large.